Automation is delegation of human control functions to technical equipment for increasing productivity, better quality, reduced cost & increased in safety working conditions. What are the different components used in automation? Output devices / actuators like drives, control valves. What are the different control systems used in Automation? Explain PID based control system. PID (Proportional Integral Derivative) is the algorithm widely used in closed loop control. The PID controller takes care of closed loop control in plant. A number of PID controller with single or multiple loop can be taken on network. PID Controllers are widely for independent loops. Although some logic can be implemented but not much of sequential logic can be implemented in PIDs. Difference between PLC & Relay ? PLC can be programmed whereas a relay cannot. PLC is much more advanced as compared to relay. Difference between PLC & DCS ? DCS: The system uses multiple processors, has a central database and the functionality is distributed. That is the controller sub system performs the control functions, the history node connects the data, the IMS node gives reports, the operator station gives a good HMI, the engineering station allows engineering changes to be made. PLC: The system has processor & I/O’s and some functional units like basic modules, communication modules and so on. Uses a SCADA for visualization. Generally the SCADA does not use a central database. DCS is often used in the big plants where the redundancy level needed is more and the analog input used are high. What is PC based control system? In PC based control system, the CPU of computer acts as processor, the PCI based cards are used for connecting Input and Output. The RAM acts as memory. Hard disk is used as storage device. Currently this systems are very useful when the large data is to be proceed with very high speed. In many cases for greater accuracy we can use the real-time operating system. A feedback device which converts mechanical motion into electronic signals. Usually an encoder is a rotary device that outputs digital pulses which correspond to incremental angular motion. The encoder consists of a glass or metal wheel with alternating clear and opaque stripes that are detected by optical sensors to produce the digital outputs. Which are the leading PLC providers? Which are the leading DCS providers ? Which are the leading SCADA software / MMI providers ? What types of sensors are used for measuring different parameters? Why 4-20 mA preferred over 0-10 V signal? The 0-10 V signal has tendency to drop because of line resistance. If the distance between sensor and input card is more the signal will not properly represent the field value. The 4-20 mA will travel a long distance without dropping signal value. Why 4-20 mA preferred over 0-20 mA signal? With 0- 20 mA you cannot distinguish between minimum field value and connection break. With 4-20 mA, internal circuit can distinguish between connection break of minimum value. Normally when the value is minimum the transmitter will give you 4 mA while in case of connection breakage it will give 0 mA. Difference between 2-wire, 3-wire and 4-wire transmitter. In 2-wire transmitter the power and signal are transmitted through same cable. In 3-wire transmitter the data signal and power are with respect to common ground. In 4-wire transmitter two wires for power supply and two for signals. Only current transmitters can be used as 2 wire transmitters. What is a “Smart” Transmitter? A “Smart” transmitter is a transmitter that uses a microprocessor as the heart of the electronics. In addition, a “Smart” transmitter will output some type of remote digital communications allowing you to read and set-up the device from a remote position. Fieldbus is a general term for a digital only, high speed communications protocol. The key attribute to Fieldbus communications is higher speed communications with the possibility of addressing multiple transmitters all on the same field wiring. The Foundation Fieldbus is a specific digital protocol that is often shortened to just be called Fieldbus. Other digital only communications such as Profibus are also Fieldbus protocols. In a closed-loop control system, the part of the final control element that translates the control signal into action by the control device. Resistance Temperature Device works on the principles that the resistance of the material changes as its temperature changes. Temperature is determined by measuring resistance and then using the RTD Resistance vs Temp characteristic to detect temperature. Typical elements used for RTD are Nickel, Copper and Platinum. Platinum is widely used in RTDs because of accuracy. PT 100 means at 0 deg temp 100 ohms resistance. A typical RTD consists of a fine platinum wire wrapped around a mandrel and covered with a protective coating (glass or ceramic). Temperature measurement range supported by RTDs? The RTD work on temperature range between–250 to 850 deg C.
Thermocouple consists of two strips or wires made up of different metals and joined at one end. The temperature at that juncture induces an electromotive force (emf) between the other ends. As the temperature goes up the emf also increases. Through standard charts and tables the corresponding temperature can be found out. The relationship between the thermocouple output and the temperature is quite non linear. Different metallurgies produce different outputs. The different metallurgies and different lineararities result in different thermocouple designations such as “J”, “K,”, “N”, “L”, etc. What is Cold Junction compensation? Temperature measurement range supported by thermocouple ? The thermocouple work on broad temperature range ie –270 to 2300. What are the flow measuring instruments used in Flow measurement ? Explain working of differential pressure measurement ? Suitable restriction placed in flow stream causes a differential pressure across it. As flow depends upon differential pressure (Head) & area, so any of them or both can be varied for varying flow. What are the components of differential flow sensor ? What type of pressure sensors used in pressure measurement? Explain working of differential pressure transmitters. Process pressure is transmitted through isolating diaphragms and oil fill fluid to a sensing diaphragm. The sensing diaphragm is a stretched spring element that deflects in response to differential pressure across it. The displacement of the sensing diaphragm, a maximum deflection of 0.004 inch (0.10 mm), is proportional to the applied pressure. Capacitor plates on both sides of the sensing diaphragm detect the position of the diaphragm. The transmitter electronics convert the differential capacitance between the sensing diaphragm and the capacitor plates into a two-wire, 4-20 mA dc signal and a digital output signal. What is Control Valves ? The control valve, commonly named the final control element of control contains a pneumatic device that converts the control signal from the controller in action, regulating the flow. What type of control valves used in the industry ? ON – OFF SERVICES :- Gate, Ball, Diaphragm, Plug, Butterfly valves. THROTTLING SERVICES :- Globe, Butterfly, Diaphragm, Pinch valves. NON – REVERSE FLOW :- Check valves. What are the specifications of the control valve ? What are the components of control valve ? What is flow coefficient ? It is the flow of water (G=1, T= 6 to 34 deg. C) through the valve at full lift in U.S gallon per minute with a pressure drop across the valve of 1 psi. This acts as an operator station. The operator can monitor as well as control the process parameters from this stations. Apart from online process data the operator will have access to historical and real-time trends, alarms and reports. The operator can give commands to control hardware for opening the valve, change the set point, start the pump etc..
What are Features of SCADA software ? The common features of SCADA include Dynamic process mimic, Trends, Alarm, Connectivity with hardware, Recipe management etc. SCADA systems has many applications right from industrial automation, power distribution to water management. No. of I/Os – Wondeware InTouch comes is 64, 128, 256, 1000 and 64,000 tags package. D+R+N : With this package development and editing of the application is possible, Runtime monitoring and control of the plant is possible and Networking is possible. R+N : With this package development and editing of the application is NOT possible, Runtime monitoring and control of the plant is possible and Networking is possible. Dongle Key : It is a hardware lock which can be put on the communication port of the PC. Software Lock : Here the software code is the license. Typically you can put the code while installation or transfer the code from Floppy to hard-disk. InTouch : It is an application manager. Using this you can create new application. Move between various applications. View : Windowviewer. This will start Runtime application. From this you can monitor and control the plant. WM : WM.XE is Window maker. This will start the development package in InTouch. Using this you can you can develop the application. Replace : Automatically closes any window(s) it intersects when it appears on the screen including popup other replace type windows. Overlay : Appears on top of currently displayed window(s) and can be larger than the window(s) it is overlaying. When an overlay window is closed, any window(s) that were hidden behind it will reappear. Clicking on any visible portion of a window behind an overlay window will bring that window to the foreground as the active window. Popup : Similar to an overlay window except, it always stays on top of all other open windows (even if another window is clicked). Popup windows usually require a response from the user in order to be removed. What is Symbol Factory ? Symbol Factory contains symbols which can be readily used in the application. The symbols is contains include various Tanks, Reactor, Pipes, Icons, Flags. What type of user input used in InTouch ? User inputs include data entry Discrete, Analog, String/Message, Sliders and pushbuttons. What type of animation can be given in InTouch ? Trends means graphical representation of data. “Real-time” and “Historical. You can configure both trend objects to display graphical representations of multiple tagnames over time. Real-time trends allow you to chart up to four pens (data values), while Historical trends allow you to chart up to eight pens. Real-time trends are dynamic. They are updated continuously during runtime with whatever time span given in configuration. You can not scroll the real-time trends to see previous data. Historical trends provide you with a “snapshot” of data from a time and date in the past. They are not dynamic. Unlike real-time trends, historical trends are only updated when they are instructed to do so either through the execution of a QuickScript or an action by the operator, for example, clicking a button. You can zoom in / zoom out the trends. You can also access the previous data. What are Alarm and Events in InTouch? Alarms and Events are the notifications used to inform operators of process activity: Alarms represent warnings of process conditions that could cause problems, and require an operator response. A typical alarm is triggered when a process value exceeds a user-defined limit. InTouch uses for types of alasm LOLO, LO, HI and HIHI. Events represent normal system status messages, and do not require an operator response. A typical event is triggered when a certain system condition takes place, such as an operator logging into InTouch. Security provides the ability to control whether or not specific operators are allowed to perform specific functions within an application. Security is based on the concept of the operator “logging on” to the application and entering a “User Name” and “Password.” (The application developer sets up each operator with a “User Name,” a pre-assigned “Password” and an “Access Level” via the Special/Security/Configure Users..command either in WindowMaker or WindowViewer.) When a new application is created, the default “User Name” is “Administrator” with an access level of 9999 (which allows access to all security commands). What is the use of Scripts in InTouch ? Is a way of writing logic in InTouch. InTouch has its own instructions and way of writing program. Application : Linked to the entire application. Window : Linked to a specific window. Key : Linked to a specific key or key combination on the keyboard. Condition : Linked to a discrete tagname or expression. Data Change : Linked to a tagname and/or tagname.field only. A software which allows a computer to access the external devices using com ports or communication cards. How to monitor the data from InTouch to Excel? ie One way communication from. How to have two way communication between Excel and InTouch? Topic Name: [XXXX.xls] sheet1 ie XXXX.xls is actual excel file used in application. Sheet 1 is the spreadsheet where the data is kept. Item Name: R1C1 ie Actual Address of the Cell where the data is kept. PLC means Programmable Logic Controller. It is a class of industrially hardened devices that provides hardware interface for input sensors and output control element. The field I/p include element like limit switches, sensors, push button and the final control elements like actuator, solenoid/control valves, drives, hooters etc. PLC Senses the input through I/P modules, Processes the logic through CPU and memory and gives output through output module. PLC can be used in almost all industrial application solutions right from small machine to large manufacturing plants. 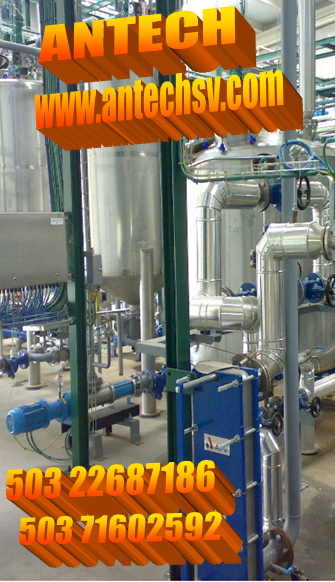 Even it caters applications of redundant systems at critical process plants. Role of PLC in Automation ? PLC plays most important role in automation. All the monitoring as well as the control actions are taken by PLCs. PLC Senses the input through I/P modules, Processes the logic through CPU and memory and gives output through output module. This component act as a brain of the system. CPU consist of Arithmetic Logic Unit, Program memory, Process image memory, Internal timers and counters, flags It receives information from I/P device, makes decisions depending upon the information and logic written and sends information through the O/P devices. Memory capacity, Instruction set supported, communication option, time required to execute the control program. Role of Power supply in PLC system ? Role of Rack or Chassis in PLC system ? A hardware assembly, which houses the processor, communication and I/O modules. It does following functions. The chassis are available in different slots in various PLC systems. Additional chassis can be connected using chassis interconnecting cable. What is role of I/O modules ? Electronic plug in units used for interfacing the i/p and o/p device in the machine or process to be controlled. I/P module receives data from i/p devices (Pushbutton, Switches, Transmitters) and send it to processor. The O/P module receives data from processor and send it to output device (Relay, Valves). Role of EEPROM memory module? This module is inserted into processor system for maintaining a copy of project (PLC program). This is helpful in case of memory corruption or Extended power loss. Communication modules are used either for communication between external hardware or software. The hardware can be PLCs (same or other make), Controller, I/O module, smart transmitters. The software can be SCADA software, MIS system or programming software. Difference Between Fixed and Modular PLCs ? In non modular PLCs the processor will have inbuilt power supply and I/Os in one unit. The modular PLC, will have separate slots for components like Power supply, I/O modules. You can select the I/Os or power supply as per the need. What are the Types of I/Os ? Local – These are the I/Os placed in the PLC main rack containing CPU. These I/Os are connected to CPU through backplane. Distributed – These are the I/O placed at remote location from the main rack containing the CPU. These I/O’s are to be connected on communication bus like control net, device net or FIP I/O. What is meaning of resolution in I/O cards in PLCs ? What is an Analog Input Module? What is Analog Output Module? An I/O module that contains circuits that output an analog dc signal proportional to a digital value transferred to the module from the processor. By implication, these analog outputs are usually direct (i.e., a data table value directly controls the analog signal value). What is meaning of universal analog input card? Normally there are different cards for different signals. But in universal input card the same channels can be configured for RTD, Thermocouple, Current or voltage input. Explain Source and Sink Concept ? Sinking – When active the output allows the current to flow to a common ground. Sourcing – When active, current flows from a supply, through the output device and to ground. What is forcing of I/O ? Forcing the I/Os means making the desired status of I/O in PLCs irrespective of its status coming from the field. In certain cases when there is problem in receiving field input /output, we can force the I/Os so that the logic takes desired state. What is meaning of scan time in PLC? Scan time is the Time required to read the I/P, Process the logic and update the output in one cycle. What is typical scan time in PLCs? What effects scan time? Typically it is less than 10 ms. It depends on the complexity of logic, PID algorithm etc. Every PLC manufacturer have their own software for programming the PLC. For example Siemens uses Simantic S7 Manager, Allen Bradley uses RS Logix and Modicon uses PLC pro programming software. The programming language used is Ladder Logic (LD), Statement List (STL), Functional Block Diagram (FBD), Sequential Function Chart (SFC), Instruction List (IL) etc. This is a programming language, which expresses a program as a series of “coils” and “contacts”, simulating the operation of electromechanical relays. The resultant program is the equivalent of an equation, which is executed continuously in a combinatorial manner. The advantage of this language is the familiarity many electricians have with the simple operation of relays. Disadvantages include the complexity of large, cross-connected programs, and the difficulty of expressing such non-binary functions as motion control and analog I/O. In critical processes, it is important to run the plant without failure. In such case it is important to have redundancy so that even if one system fails the redundant system can take care without affecting plant. Power Supply redundancy: In case the power supply fails the standby power supply takes control of the situation. I/O Redundancy: Multiple I/O channels are provided to take care of input or output failure. What are components of redundant PLC system ? Output Energies (OTE): –( )— If the rung is true, it turns on the bit. If the rung goes or a power cycle occurs the bit turns off. Output Latch (OTL): –(L)— If the rung is true, turns ON a bit. The bit stays ON until the rung containing an OTU with the same address goes true. Output Latch (OTU): –(U)— If the rung is true, turns OFF a bit. The bit stays OFF until the rung containing an OTL with the same address goes true. TOF – (Timer OFF delay) An output instruction used to turn an output ON or OFF after its rung has been off for a preset time interval. RTO – (Retentive Timer) An output instruction that can be used to turn an output ON or OFF after the timer has been timing for a preset time interval. Once it has begin timing, it holds the count of time even when the rung continuity is lost. .DN : (Done) Specifies whether or not the accumulated value of the timer equals to the preset value of the timer. What are the PLC ranges available in Rockwell ? SLC : SLC 5/01, 5/02, 5/03 …. What are the software Used with AB ? What is use of RS Linx software ? RS Linx software is used to perform following tasks. Enable communication tasks such as uploading, downloading, going online, updating firmware and sending messages. What is use of RS Logix software? RS Logix is a PLC programming software. It contains all the instructions needed for PLC programming. We can develop the program, down load / upload the program, work on line / off line and force the I/Os using the software. What file gets created in PC for RS Logix PLC program ? The extension of the file will be .rss. So if you create an application with “Reliance” name the file created will be “Reliance.rss”. By default it will be stored in “c:\Program Files\Rockwell Software/RS Logix 500 Eng location. How to creating linkage between PLCs and PLC programming software? The RS Linx software is used for linking the PLC and software Either you can manually configuration the communication settings or By using Auto Configure facility the software will detect the communication settings automatically. What is the meaning of Upload and Download ? What are the various communication interfaces supported by AB ? The commonly used communication protocon in AB includes DH+, DH485, ETH, Modbus, Device Net and Control Net. Give information about DH, Control Net, DeviceNet and Ethernet protocol. Data Highway: The proprietary data network used by Allen Bradley PLCs to communicate information to and from other PLCs on the network or to and from host computers attached to the network. DeviceNet: A low-cost communication link that connects industrial devices to a network. It is based on broadcast-oriented communication protocol – the Controller Area Network (CAN). Ethernet: The standard for local communications networks developed jointly by Digital Equipment Corp., Xerox, and Intel. Ethernet baseband coaxial cable transmits data at speeds up to 10 megabits per second. Ethernet is used as the underlying transport vehicle by several upper-level protocols, including TCP/IP. What is latency in communication? The delay time between the end of one communication and the start of another. During this time, the processes associated with the communication are hung up and cannot continue. The latency has to be minimum. How the communication protocols are distinguished? No. of nodes supported, total network length , Speed of communication. What are the various PLC system in SIMATIC S7 range ? What are the software used with Siemens ? Components of Siemens S7 300 Series PLC system ? Explain the System Bits available in S7-200 PLC Special Memory area ? Special Memory Byte 0 (SM0.0 – SM0.7) provides eight bits that are updated by the S7-200 CPU at the end of each scan cycle. Your program can read the status of these bits and then make decisions based on a bit’s value. Always On SM0.0 This bit is always ON. First Scan_On SM0.1 This bit is ON for the first scan cycle only. One use is to call an initialization subroutine. Retentive_Lost SM0.2 This bit is turned ON for one scan cycle if retentive data was lost. This bit can be used as either an error memory bit or as a mechanism to invoke a special startup sequence. RUN_Power_Up SM0.3 This bit is turned ON for one scan cycle when RUN mode is entered from a power-up condition. This bit can be used to provide machine warm-up time before starting an operation. Clock_60s SM0.4 This bit provides a clock pulse that is OFF for 30 seconds and ON for 30 seconds, for a cycle time of 1-minute. It provides an easy-to-use delay or a 1-minute clock pulse. Clock_1s SM0.5 This bit provides a clock pulse that is OFF for 0.5 seconds and then ON for 0.5 seconds for a cycle time of 1 second. It provides an easy-to-use delay or a 1-second clock pulse. Clock_Scan SM0.6 This bit is a scan cycle clock that is ON for one scan and then OFF for the next scan. This bit can be used as a scan counter input. Mode_Switch SM0.7 This bit indicates the current position of the Mode switch (OFF=TERM position and ON=RUN position). You can use this bit to enable Freeport mode only when the switch is in the RUN position. Normal communication with the PC/programming device can be re-enabled by switching to the TERM position. Explain the Time Stamp available in S7-200 PLC ? This warning message indicates that the timestamps for the project do not match the timestamps for the program in the PLC. This may indicate that the programs are different, in which case it would be dangerous to continue the current operation. However, the programs may be functionally identical and still have different timestamps. What are the Time Stamps available in S7-200 PLC ? Each program contains two distinct timestamps; the “Created” timestamp and the “Last Modified” timestamp. The created timestamp is set when the project is created by the New Project option. The Created timestamp is not affected by any user edits or program compilation. The Last Modified timestamp is used to indicate when the user last modified the program. There are many conditions that cause the Last Modified timestamp to be set, it includes Edit of instructions or operands in the program, Adding, deleting, or modifying a Local or Global Symbol, Adding or deleting a POU, Compiling the program block and Downloading the program block (this automatically compiles the program block and therefore sets the last modified timestamp). How to check whether the project and program in the PLC is same ? STEP 7-Micro/WIN 32 provides the “Compare” option, to allow you to determine whether the programs are same or different. What are Fatal errors in Siemens S7 200 PLC ? Fatal errors cause the PLC to stop the execution of your program. Depending on the severity of the error, a fatal error can render the PLC incapable of performing any or all functions. What happens to PLC when it goes to Fatal error ? The PLC performs the following tasks when a fatal error is detected. The PLC remains in this condition until the fatal error is corrected. What are Non – Fatal errors available in Siemens PLCs? Compile and run-time errors are non-fatal errors. Non-fatal errors can degrade some aspect of the performance of your PLC, but do not render the PLC incapable of executing the user program or updating the I/O. Run-time errors are non-fatal errors detected in RUN mode, and reflected in special memory (SM) bits that your program can monitor and evaluate. At startup, the PLC reads the I/O configuration and stores this information in the SM memory. During normal operation, the I/O status is periodically updated and stored in the SM memory. If the PLC detects a difference in the I/O configuration, it sets the configuration-changed bit of the module-error byte; the I/O module will not be updated until this bit is reset. For the PLC to reset this bit, the module I/O must once again match the I/O configuration stored in the system data memory. Run-time programming errors are non-fatal error conditions created by you or your program while the program is being executed. An example of this is an indirect-address pointer, which was valid when the program compiled, modified by program execution to point to an out-of-range address. Use the PLC > Information… command to determine what type of error has occurred. You can correct run-time programming errors only by modifying the user program. The run-time programming errors are cleared at the next transition from STOP to RUN mode. Compile errors (or program-compile errors) are detected at download as the PLC compiles the program. If there is a compile error, the compile halts, and the previous program (which is known to be valid since it previously compiled) is retrieved. All of these steps occur while the PLC is in STOP mode. Compile errors can be displayed using the PLC > Information… command. How To Writing and Forcing Outputs in S7-200 PLC STOP Mode? To enable Write and Force functions while in STOP mode, choose the Debug > Write-Force Outputs in STOP menu command. The S7-200 PLCs support writing and forcing outputs (both analog and digital) while the PLC is in STOP mode. As a safety precaution, you must specifically request this functionality to be enabled in STEP 7-Micro/WIN 32. The menu option Debug>Write-Force Outputs in STOP enables you to Write or Force outputs while the PLC is in STOP mode. equipment, which could also cause death or serious injury to personnel, and/ or damage to equipment. Each time STEP 7-Micro/WIN 32 is opened, the menu option defaults to unchecked, and you are prevented from writing or forcing outputs while the PLC is in STOP mode. Checking the menu option enables writing and forcing for the current editing session with the current project. When a different project is opened, the menu option returns to its default state and you are prevented from either writing or forcing output addresses while the PLC is in STOP mode. How TO Write the STL Program in S7-200 PLC ? The example program below shows formatting in the STL editor according to the guidelines given in How to Enter a Statement in STL. You might want to set up your program similarly, by having the network comments give a general overview of the function of the network and the statement comments identify the function of the statement. Note that the sample is written with symbolic addresses. If you would like to see this program (in either STL or LAD) in STEP 7-Micro/WIN 32, select File>Open, browse to the STEP 7-MicroWIN\Samples\English directory, highlight the sample program and click the Open button. NETWORK 1 //Fill the tank with ingredient 1 and monitor tank level. //Maintain Pump Status if Start Switch Opens. LD Start_1 //Load value of Start_1 I0.0. O Pump_1 //Or with Pump_1 Q0.0 value. A Stop_1 //And with Stop_1 I0.2. AN High_Level //And Not with High_Level I0.4. = Pump_1 //Assign result to Pump_1 Q0.0. NETWORK 2 //Fill the tank with paint ingredient 2 and monitor tank. //level. Maintain Pump Status if Start Switch Opens. LD Start_2 //Load value of Start_2 I0.1. O Pump_2 //Or with Pump_2 Q0.1 value. A Stop_2 //And with Stop_2 I0.3. = Pump_2 //Assign result to Pump_2 Q0.1. NETWORK 3 //Set memory bit if High Level is reached. LD High_Level //Load value of High_Level I0.4. S High_Lev_Reached, 1//Set High_Lev_Reached M0.1 to 1 (on). NETWORK 4 //Start Timer if High Level is reached. LD High_Lev_Reached //Load value of High_Level_Reached M0.1. TON Mix_Timer, +100 //Timer 37, Preset = 100 (@0.1 s). NETWORK 5 //Turn on Mixer Motor. LDN Mix_Timer //Load Not value of Mix_Timer T37. A High_Lev_Reached //And with High_Lev_Reached M0.1. = Mixer_Motor //Assign result to Mixer_Motor Q0.2. = Steam_Valve //Assign result to Steam_Valve Q0.3. NETWORK 6 //Drain mixing tank. LD Mix_Timer //Load value of Mix_Timer T37. AN Low_Level //And Not with Low_Level I0.5. = Drain_Valve //Assign result to Drain_Valve Q0.4. = Drain_Pump //Assign result to Drain_Pump Q0.5. NETWORK 7 //Count each cycle. LD Low_Level //Load value of Low_Level I0.5. A Mix_Timer //And value of Mix_Timer T37. LD Reset //Load value of Reset I0.7. CTU Cycle_Counter, +12 //Counter 30, Preset = 12. NETWORK 8 //Reset memory bit if Low Level reached and Timer //timed out. R High_Lev_Reached, 1//Reset value of High_Lev_Reached M0.1 to 0. What is the Protocol used in the in S7-200 PLC and How many station Can Be Possible in the S7-200 Network? What is Absolute and Symbolic Addressing IN S7_300 PLC? In a STEP 7 program you work with addresses such as I/O signals, bit memory, counters, timers, data blocks, and function blocks. You can access these addresses in your program absolutely, but your programs will be much easier to read if you use symbols for the addresses (for example, Motor_A_On, or other identifiers according to the code system used within your company or industry). An address in your user program can then be accessed via this symbol. An absolute address comprises an address identifier and a memory location (for example, Q 4.0, I 1.1, M 2.0, FB21). You can make your program easier to read and simplify troubleshooting if you assign symbolic names to the absolute addresses. prefer to access ARRAYs, STRUCTs, data blocks, local data, logic blocks, and user-defined data types using symbolic names, you must first assign symbolic names to the absolute addresses before you can address the data symbolically. You can, for example, assign the symbolic name MOTOR_ON to the address Q 4.0 and then use MOTOR_ON as an address in a program statement. Using symbolic addresses it is easier to recognize to what extent the elements in the program match the components of your process control project. What is meaning by Instance data block in S7_300 PLC? An instance data block is assigned to every function block call that transfers parameters. The actual parameters and the static data of the FB are saved in the instance DB. The variables declared in the FB determine the structure of the instance data block. Instance means a function block call. If, for example, a function block is called five times in the S7 user program, there are five instances of this block. Before you create an instance data block, the corresponding FB must already exist. You specify the number of the FB when you create the instance data block. If you assign several instance data blocks to a function block (FB) that controls a motor, you can use this FB to control different motors. What are System Function are in S7_300 PLC? A shared data block is not assigned to a logic block. It contains values required by the plant or machine and can be called directly at any point in the program. An instance data block is a block that is assigned directly to a logic block, such as a function block. The instance data block contains the data that were stored in a function block in the variable declaration table. Use a drag-and-drop operation to drag the module from the Hardware Catalog window over the old module that is already placed. Drop the new module. To the extent possible, the new module assumes the parameters of the one that was already inserted. This procedure is faster than exchanging modules by deleting the old module and then inserting the new one and assigning parameters to it. Complex data types define data groups that are larger than 32 bits or data groups consisting of other data types. The following table describes the complex data types. You define structures and arrays either in the variable declaration of the logic block or in a data block. required to save 254 characters and a header of 2 bytes. the character string (for example: string ‘Siemens’). be any integer (-32768 to 32767). STRUCT Defines a grouping of any combination of data types. structure of structures and arrays. User-defined data types are special data structures you create yourself that you can use in the whole S7 program once they have been defined. User-defined data types can be used like elementary data types or complex data types in the variable declaration of logic blocks (FC, FB, OB) or as a data type for variables in a data block (DB). You then have the advantage that you only need to define a special data structure once to be able to use it as many times as you wish and assign it any number of variables. User-defined data types are created in the SIMATIC Manager or the incremental editor just like other blocks. What you mean by Memory Compressing? (RAM) When it can be? After deleting and reloading blocks, gaps can occur in the user memory (load and work memory) and reduce the usable memory area. With the compress function, the existing blocks are rearranged in the user memory without gaps, and a continuous free memory is created. Only if you compress the memory in “STOP” mode are all the gaps closed up. In the RUNP mode (mode selector setting), the blocks currently being processed cannot be shifted since they are open. The compress function does not work in the RUN mode (mode selector setting) (write protection!). What are the Communication Protocol used in Siemens 300 ? What are the blocks used in Siemens ? Data Block : These are the blocks used by logic blocks in CPU program for storing the data. DB’s does not contain any instructions and it take up space in the user memory. The user program can access a data block with bit, byte, word or double word operations. Global data block : These contains information that can be accessed by all the logic block in the user program. Instance data block : These DBs are always assigned to a particular FB. FC Functions : It is a logic block without memory. An FC is always executed by calling in another block. FC is used either for returning a function value to a calling function or executing a technological function. Temporary variable belonging to FC are saved in local stack and this data is lost when the FC has been executed. Function Blocks (FBs) : A function block is block with a memory. A FB contains a program that is always executed when a different logic block calls the FB. FB make it much easier to program frequently occurring complex functions. What are SFCs and SFBs ? SFBs and SFCs are integrated in the S7 CPU and allow you access to some important system functions. Statement List (STL) is a textual programming language that can be used to create the code section of logic blocks. Its syntax for statements is similar to assembler language and consists of instructions followed by addresses on which the instructions acts.